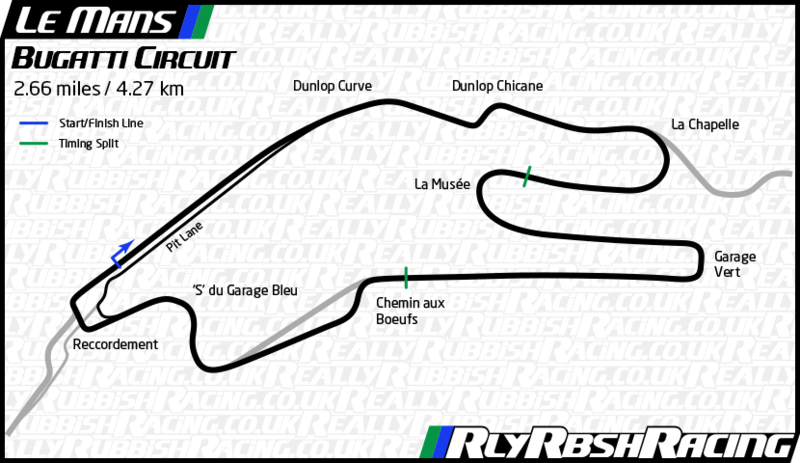 Le Mans (Bugatti) is a racing venue in France with 121 laptimes.This page represents the 4.2 kilometer (2.6 mile) configuration of this track. Le Mans (Bugatti) is a moderately fast track, with overall average speed of 133 kph (83 mph). Radical SR3 RS. 1:44.7 through traffic. Radical SR8 RX - 1:38.48. Game over. Huracan LP610-4 faster than the McLaren 650S at this circuit.